I saw several of them around Paramaribo, Suriname. Left side looks kind of like "vehicles not allowed" and the right side like "parking prohibited" signs, but there was plenty of cars riding and parking behind the sign. The meaning of this traffic sign is: parking on the right side of the street is prohibited. Apparently the left side of the sign is intended as being empty, so it has no meaning. 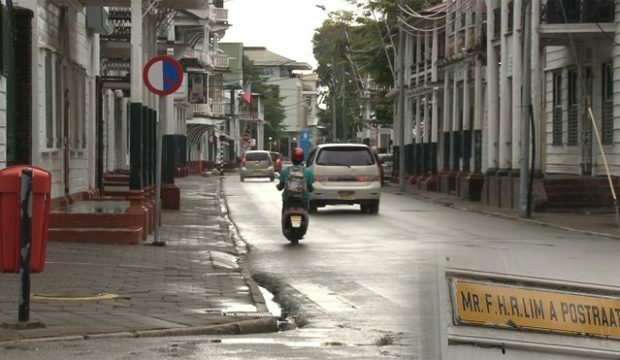 Deze verkeersborden geven aan, dat er een wachtverbod geldt voor de rechterzijde van de Lim A Postraat. 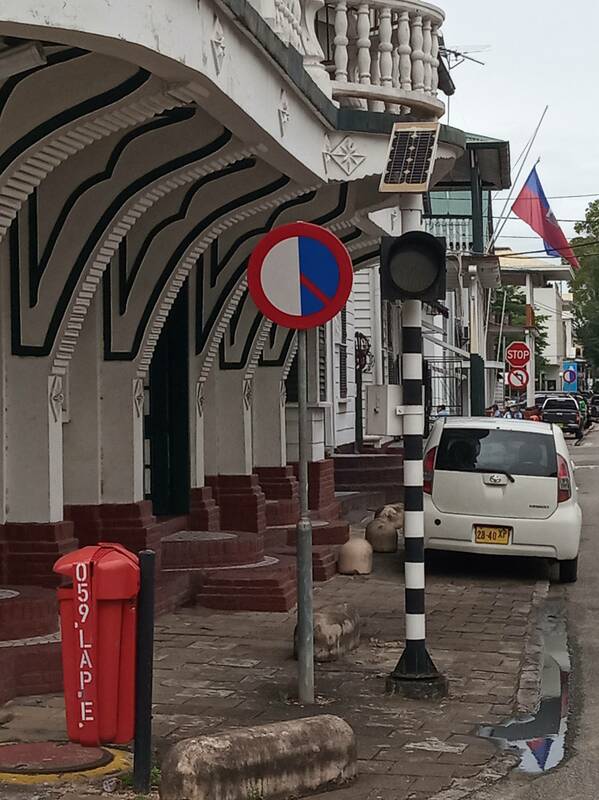 These traffic signs indicate that there is a parking prohibition (officially called waiting prohibition) on the right side of the Lim A Po street. Not the answer you're looking for? Browse other questions tagged driving identify-this factoids suriname or ask your own question. What does it mean when a tractor-trailer flashes his brights on a US highway?